Police Academy in Silang, Cavite Wednesday. The latest U.S.-led war that the Philippines was involved in was the 2003 Iraq invasion, which just marked its 15th anniversary Tuesday. “We did not benefit (from these expeditions) all these years of sacrifice except brutality and agony. We will stand on our own,” Duterte said. The Philippines is a treaty ally of the United States. Both countries hold joint military exercises to improve the inter-operability of troops. However, their relations have been strained in recent years. 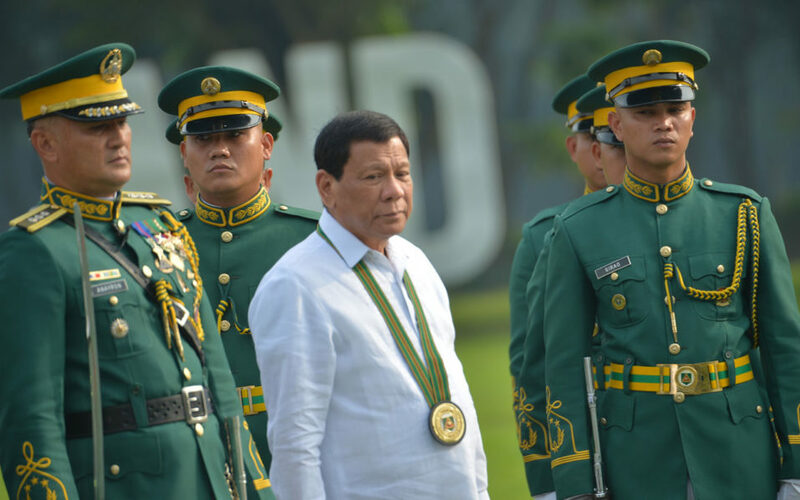 Duterte has repeatedly said he would not allow Philippine troops to participate in any armed conflicts involving the U.S. or wars that have nothing to do with the Philippines. He said he opposes the U.S. policy to drag other countries to war in different parts of the world.